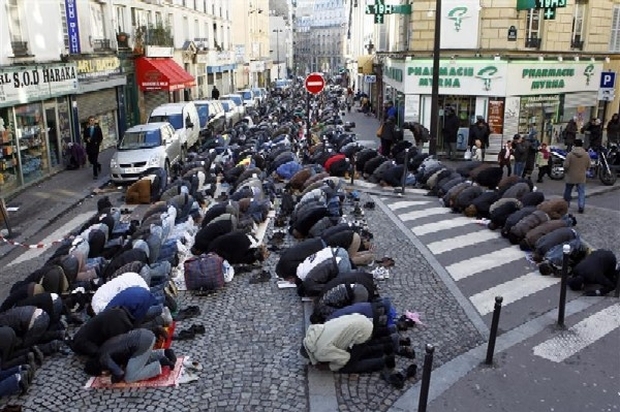 Last week, Clichy Muslim street prayers turned into brawls where the mayor and police came out. It turns out that the Muslims were objecting that the mosque provided for them wasn’t right in the middle of town. 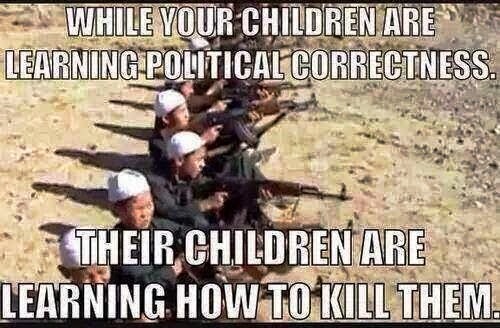 Muslim violence is not about anyone else except Muslims. 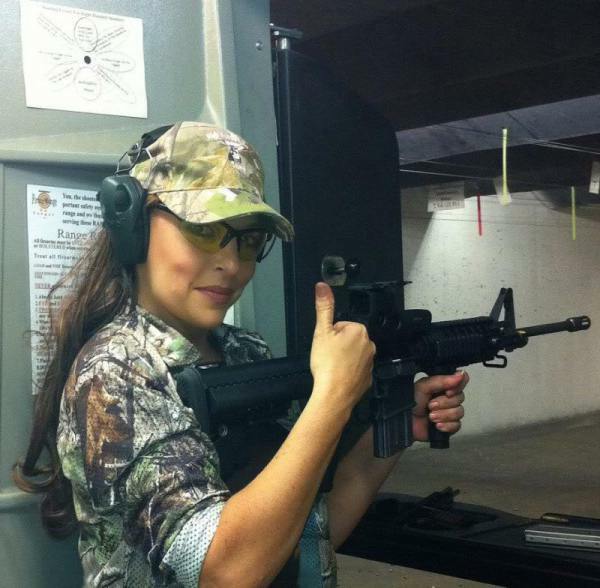 No one else is responsible for Muslim violence except Muslims. There’s a term for the kind of people who think like this; criminals. There’s a term for the kind of people who defend them; leftists. 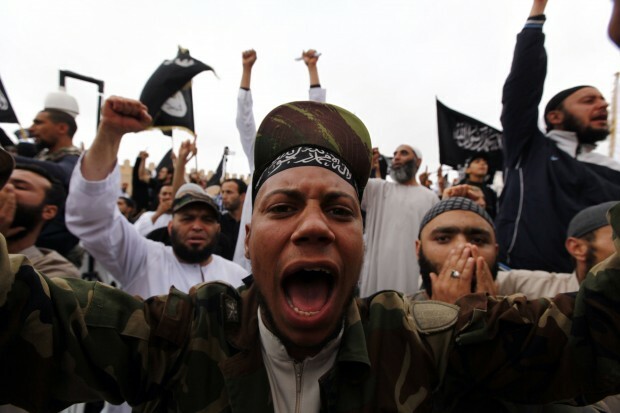 KANO, NIGERIA: Hundreds of youths ran through the streets of the northern Nigerian city of Kano shouting “Allahu Akbar” (God is greatest) on Friday to protest against a Muslim cleric accused of blasphemy, and set fire to a sharia court, police said. The young men took to the streets around 10 am to demonstrate against Abdul Nyass, from the Tijani Muslim sect, who was due to appear in the Islamic court accused of comparing the leader of his group to the Prophet Mohammad (pbuh). Part of the court was set on fire after a bonfire started by protesters caught hold of the building, although it was unclear whether this was deliberate. Four Egyptian kids face up to five years in a detention facility for making fun of the Islamic State in a video. Their teacher could be sent to prison. The five Coptic individuals, Christian descendants of non-Arab people whose Pharaohs ruled ancient Egypt, were charged with “insulting Islam” after their Muslim neighbors took the video to police. The four boys, aged between 15 and 16, could serve time in a youth detention center if the court finds them guilty of violating Egypt’s blasphemy law, Fox News reported Saturday. The five have already spent weeks in police holding cells. 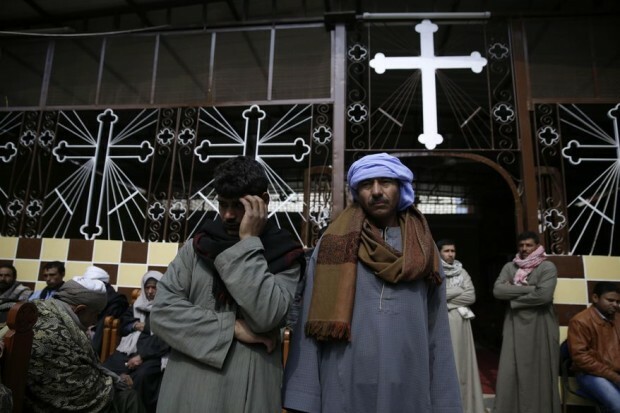 Egyptian Christian and civil rights groups are leading calls for their release saying the Sunni Islamic majority in Egypt uses the blasphemy law to persecute religious minorities, among them Christians. “They are some kids who decided to have fun in a private place,” Mina Thabet, a Coptic activist and research at the Egyptian Commission for Rights and Freedoms, told Fox. Part 1 of this article (last week) explained that Muslim-Jewish dialogue can be very positive. Unfortunately, at an event advertised as a “Muslim-Jewish dialogue” at Temple Sinai in Roslyn on Jan. 29, the featured Muslim speaker, Dr. Faroque Ahmad Khan, engaged in one-sided Israel-bashing and condemnation of American officials and media. 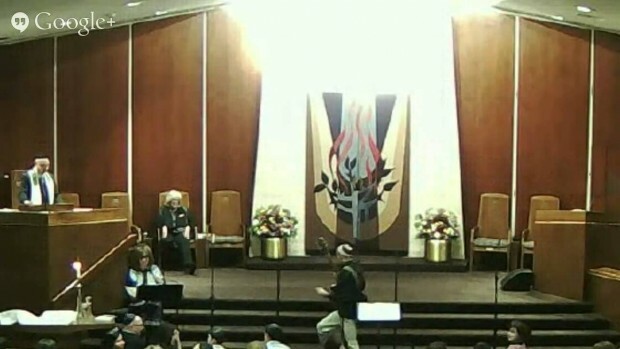 In addition to his previously described charges at the Temple Sinai event, Dr. Khan complained that the American press had “Islamophobia” and was unfair to Muslims. Dr. Khan’s sole example of such “unfairness” was absurd: Dr. Khan asserted that the American media failed to cover the fact that when one Muslim man from Mali killed four Jews in the Paris kosher grocery, another Malian Muslim saved 6 Jews by hiding them in the refrigerator. Dr. Khan asserted that “only the foreign press” covered the second Muslim man’s heroism, and that the American press refused to cover this. Audience members shook their heads when Dr. Khan uttered this obvious mistruth about American media coverage. An audience member called out that Fox News covered the story. Dr. Khan ignored her. In fact, virtually all the American press (including Fox News, The New York Times, The Wall Street Journal, Yahoo.com, MSNBC, NBC, CBS, CNN, Huffington Post, American Thinker, etc. as well as Jewish press outlets) covered and praised the heroic actions of the second Muslim man, Lassana Bathily. Some Unitarian Universalists in North Carolina seem to have had better luck. 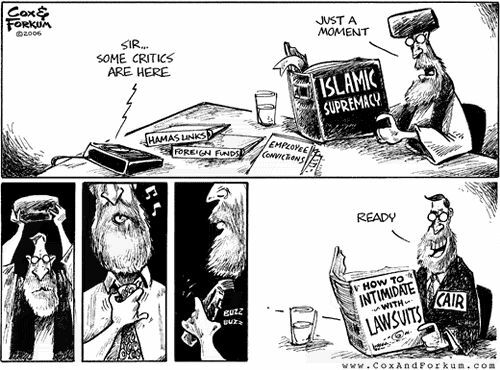 In an appearance with MSNBC on Monday, Council on American-Islamic Relations (CAIR) National Communications Director Ibrahim Hooper insisted that the use of the word “Islamist” to describe radical Muslim terrorists is offensive to Muslims. If you find a plot where there’s some violence planned, of course stop that plot, but we’re also seeing a tremendous rise in Islamophobia, not only in Europe but in the United States. We’re, ourselves, we’re receiving [a] tremendous increase in hate messages and threats. We’re seeing threats to mosques, we’re seeing hate rallies against ordinary Muslim conferences, like over the weekend in Texas. So we’re seeing [a] tremendous rise in the level of Islamophobia, and I would also caution us all on terminology. In the package preceding this segment, the reference was repeatedly made to “Islamists,” used as a pejorative. With Europe facing terror alerts and Germany in the grip of anti-Islam protests, the supermarket chain Aldi has found itself in the middle of controversy over liquid soap bottles that depicted a mosque. 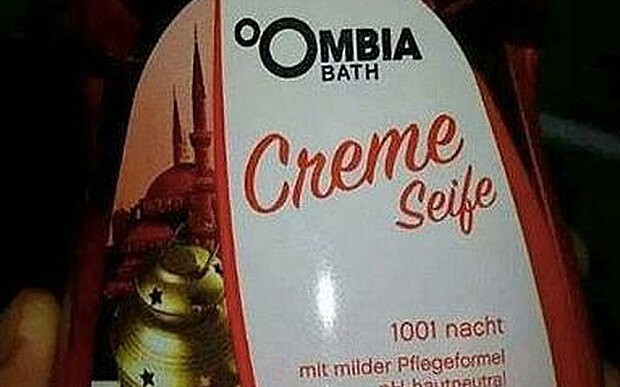 The German discount chain Aldi Süd has withdrawn its own-brand Ombia 1,001 Nights liquid soap from sale after complaints that its packaging was insulting to Muslims – only to face new complaints from non-Muslim customers demanding it be reinstated. The packaging, which Aldi said was intended to evoke the exotic Orient, depicted a Turkish-style mosque with dome and minarets, together with a lantern and a set of prayer beads. The row began when Muslim customers posted complaints about the design on Aldi’s Facebook page. A leading counter terrorism expert told Sputnik UK in an exclusive interview that the 12 year jail sentence handed to a man in Britain whose mother informed police after he travelled to Syria, could lead to the radicalisation of more Muslims. Hamed El-Said, Professor in International Business and Political Economy at Manchester Metropolitan University, says the judge made a “Big mistake”. “Basically it’s a form of deceit, a form of literally entrapping individuals to give information about people who are trying to come back from Syria, or even trying to go there. Instead of doing what you promised to do if they give you information, you’re letting them down”. Menus in a supermarket’s cafe will be altered after a converted Muslim tasted ale in her steak pie. Amanda Critchlow was tucking into a pie labelled as being a steak pie on the menu at the superstore, in Holles Street, Grimsby, when her daughter Rebecca sampled a piece and noticed something was not right with the meal. A Nottingham cleric warned Muslims it is a sin to eat steak pie in Asda because it contains ale. Dr Musharraf Hussain, the chief imam at the Karimia Institute, in Bobbers Mill, said: “Eating or drinking things that are forbidden by mistake is neither a sin nor something to kick a fuss about. A young British fashion designer has unveiled the ‘poppy hijab’ as a unique way for Muslim women to mark Rememberance Day. 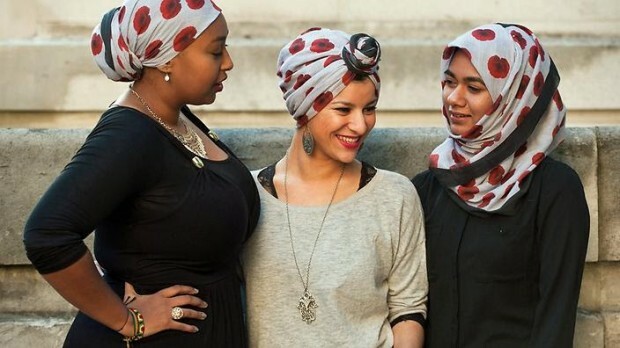 For $35 (22 British pounds), women can buy a headscarf printed with the iconic red poppies, a symbol for fallen soldiers. But some UK Muslims say they disagree with the politics behind it, saying the symbol of a poppy with its long association with Western remembrance events is culturally inappropriate. More than one million Indian soldiers and 400,000 Muslims fought alongside British troops in 1914. 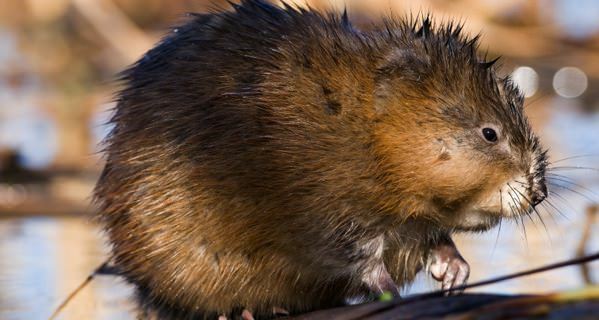 A decision by the RCMP to use wool tuques instead of fur-lined hats in cold winter months will be “fully overturned,” Environment Minister Leona Aglukkaq says. NEW DELHI: Authorities in India’s Gujarat state arrested at least 40 people after late-night clashes between Hindus and Muslims in the city of Vadodara and suspended mobile phone Internet and bulk text messaging services for four days, officials said on Sunday. Crowds from the two religious communities pelted each other with stones and set several vehicles alight until police dispersed them using tear gas on Saturday evening after days of tensions in the city, police said. Gujarat is the home state of Hindu nationalist Prime Minister Narendra Modi, who is currently in the United States and is scheduled to meet President Barack Obama. The state has a majority Hindu population and a history of religious conflict. 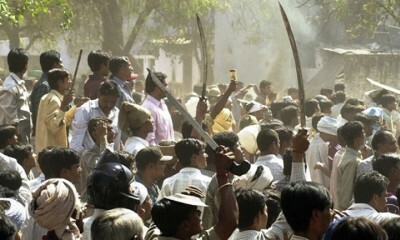 At least 1,000 people, mostly Muslims, died in Gujarat in 2002 in violence between Hindus and Muslims. Modi was chief minister of the state at the time. Christopher Hitchens: Why are we so afraid of offending Muslims? During the greater part of last week, Slate’s sister site On Faith (it is jointly produced by Newsweek and washingtonpost.com, both owned by the Washington Post Co., which also owns Slate) gave itself over to a discussion about the religion of Islam. As usual in such cases, the search for “moderate” versions of this faith was under way before the true argument had even begun. If I were a Muslim myself, I think that this search would be the most “offensive” part of the business. Why must I prove that my deepest belief is compatible with moderation?